As the school year comes to an end, all eyes are on summer vacation. Children love the hot summer months and the wealth of opportunities to spend time outside. Whether it’s swimming, boating, biking, hiking or just playing, there’s something for kids of every age (even us grown-ups!). There is also risk during this special time of year. We’ve compiled a brief list of summer safety tips to help prevent illness and injuries, leaving you and your family to simply enjoy your fun in the sun. 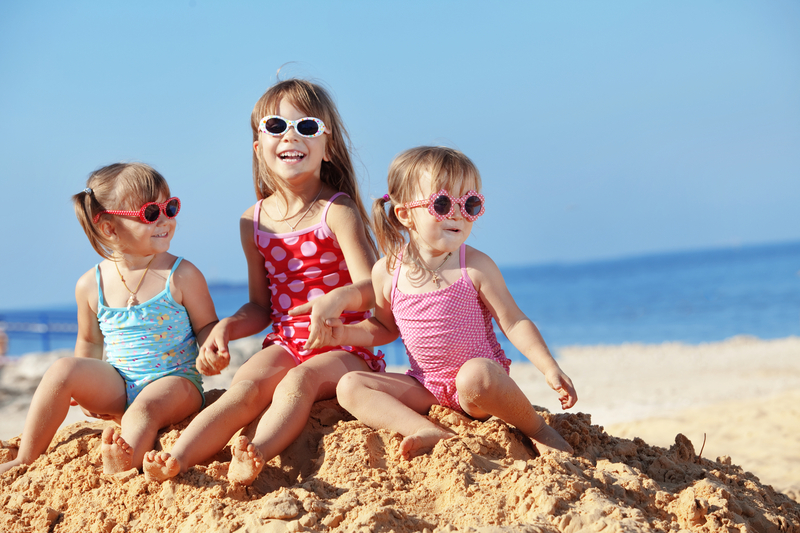 Avoid sun exposure during peak sun hours (10 AM – 6 PM). Wear protective clothing and a wide brimmed hat and sunglasses (with 99-100% UV protection). Sunscreen is a must (on sunny and cloudy days)! Look for products with UVA and UVB protection and an SPF of at least 15 (according to the American Academy of Pediatrics and American Association of Dermatology). Sunscreen should be applied liberally 30 minutes before going out in the sun, and reapplied every two hours or sooner if swimming, sweating or toweling off. Look for shade whenever possible. Every family should have at least one first aid kit at home which is well stocked and readily accessible. It’s also helpful to keep a first aid kit in the car and one to bring on trips. Kids get lots of cuts and scrapes during the warm summer months, so it’s nice to be prepared. Don’t forget to restock the kit once an item has been used. Be sure to keep a list of emergency numbers where they are easy to find. This list should include: emergency medical services (911), the doctor’s number, the dentist’s number, poison control, a number where mom and/or dad can be reached and any other important phone numbers.